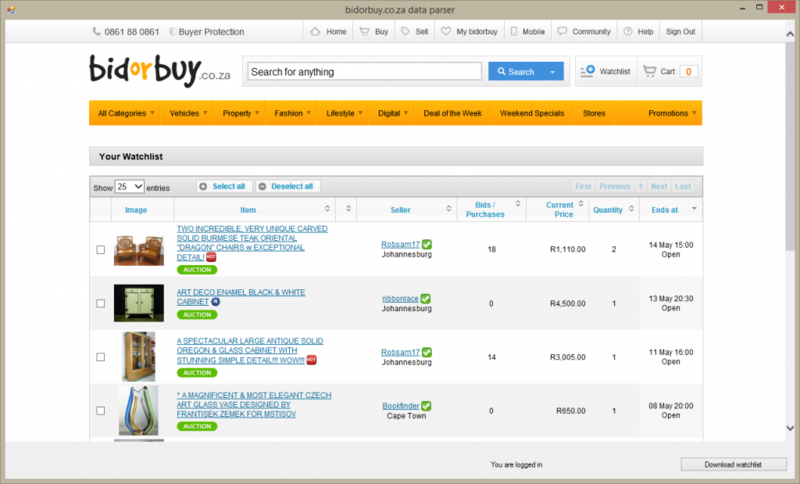 Create application to crawl watchlist data from bidorbuy.co.za and export it to Excel. Excel styles of cells have to be keep. Application have to log in into bidorbuy user account automatically. There is an application for monitoring and analysis of goods that are sold via largest trading platform of South Africa. Application can log in user automatically, scrap data from user watchlist into Excel file or update existing Excel file. All styles of cells, macroses and functions are preserved.